Boost your income and enhance your influence over clients and colleagues by expanding your general and real estate education beyond licensing and renewal courses. This article is part two of a series analyzing a real estate agent’s power base. For part one, see: A California real estate agent’s power base. In part one of this series, we explored an agent’s use of assets and net worth to enhance their power base and, in turn, their success in the real estate industry. Here we examine the next aspect of a real estate agent’s power base: education. All real estate agents and brokers are aware of the extremely modest educational requirements imposed by the California Bureau of Real Estate (CalBRE) for obtaining and renewing their licenses, considering the huge capital liquidation and expenditures involved in client counseling. However, an agent’s education doesn’t end with these minimal requirements – especially with a four-year gap in “continuing education” between each Olympian bout of cramming and exams for license renewals. To perform with the goal to increase their income and client base, an agent needs to continually upgrade their formal knowledge of the real estate market and industry sectors. An agent with no further education is left with insufficient awareness of the application of new legislation, recent case decisions and significant news. Eventually, they are left with diminished opportunities and stagnant income. Additionally, formal education nurtures an agent’s practical experience. An agent’s experience in real estate-related information gathering and transaction negotiations — “street smarts” — is equally as valuable as studied knowledge acquired. Practical experience hones instinct for handling a transaction and manifests when dealing with the personalities involved in negotiations. Initially, however, it is the amount and type of formal education an agent possesses that causes prospective clients to begin the process of bonding with the agent — before the prospective client can observe the agent’s expertise in action. any other general or focused distinction an agent may prefer, like land, dairies, motels, mobile home parks or self-storage properties. Declaring and marketing a niche expertise is virtually useless in practice unless the agent understands and can navigate the nuances peculiar to that particular niche. Importantly, personal experience lends wisdom to perspectives about transactions that formal education cannot. Together, they have a multiplier effect on income potential. To be classified as an expert, the agent needs to constantly expand their technical knowledge of their chosen niche and groom that knowledge with the wisdom of experience. For example, an agent may elect to locate and enroll in topic specific real estate courses. 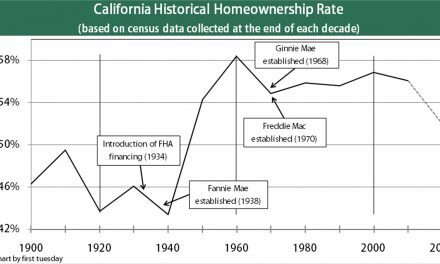 Editor’s note – Agents and brokers enrolled in first tuesday courses have access to the most complete, current collection of California-specific real estate texts for one year of their enrollment. For a list of texts available through enrollment or ordering, visit our Realtipedia page. These additional skills make an agent more effective in all their daily activities and more appealing to clients and colleagues alike. Depending on the agent’s time and means, an agent may also choose to deepen their understanding of California real estate law by enrolling in basic first-year law classes for agency, business and contracts. 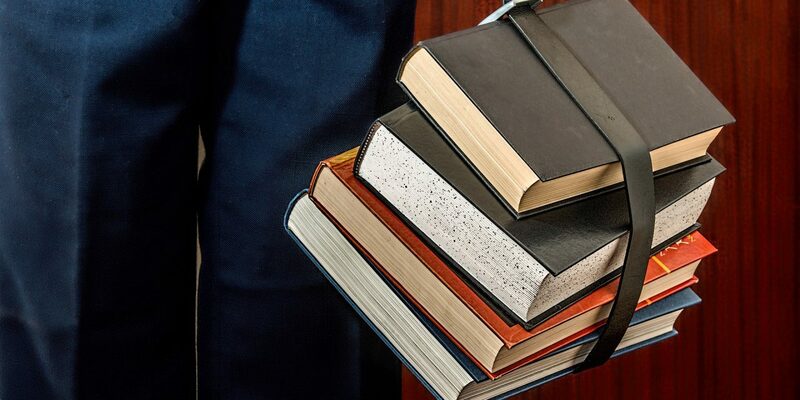 Many agents will consider law school an intimidating and demanding undertaking. However, agents with law degrees possess a significant advantage due solely to their educational credentials when negotiating any real estate-related arrangement. The crossover is not limited to agents and brokers; great numbers of attorneys acquire a CalBRE broker license as well. Editor’s note — Agents who pass the California State Bar exam are exempt from licensing education when applying for a broker license. For more information, see: Become a CalBRE broker in 5 steps. training sessions focused on particular skills (sales agents learning from experienced licensees). Agents need to keep up-to-date with economic conditions including current market rates and trends, which drive and give direction to their niche market and the other property markets in their area. Agents also need to regularly check for new laws, zoning for construction, financing programs and other news affecting real estate transactions and their business. The agent’s expansive knowledge of both their niche and general economic conditions increases their real estate intelligence and savvy in the eyes of both clients and colleagues. Clients are more willing to trust their advice regarding the legal, financial and market consequences they can expect from a transaction. These clients are also more likely to recommend the agent’s services to friends and family, referrals which lead to increased income for an agent’s improved living standard. Naturally, an agent whose clients respect and desire their guidance in a real estate transaction generates greater negotiation power with their colleagues. Also, extensively informed agents are more able to prove their financial worth to other brokers and agents they deal with, increasing their ability to select the best brokerage situations available. 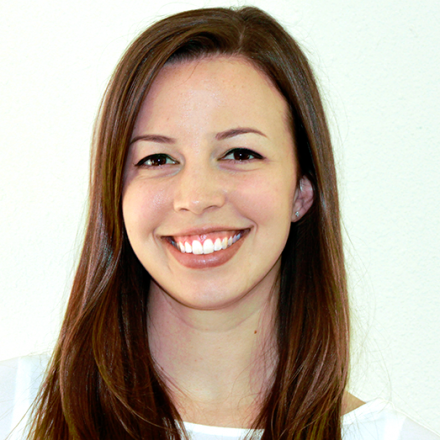 working their way into management and ownership at larger brokerages. graduates with master’s degrees, who earned up to 90% more. Implicit in an agent’s education is the client’s impression of a successful agent – even when the agent has yet to make any notable financial strides. Education is frequently associated with wealth, a perception held by the general public. When an agent can use experience in addition to factual information to answer questions, clients perceive the agent as a seasoned, well-informed professional who likely earns a respectable living — a perception upheld by the agent’s degrees and certificates of investment in education. This perception causes more clients to willingly retain the agent, increasing the agent’s productivity and income. With the additional opportunities an agent receives from referrals, the agent further enhances their knowledge with each new transaction – adding experience to their factual education. The agent learns to deal with various types of clients, situations and obstacles, experiences which better guide the agent’s future transactions. Thus, the agent is also educated through practice – the school of hard-knocks. Education, like the other elements of an agent’s power base, holds infinite potential for improvement – room to expand by further development. Importantly, an agent enhances their knowledge and understanding simply by work properly done in any aspect of the real estate services and construction business. In turn, their real income and influence will continue to grow through experience acquired each year for the duration of their career. Do you know of any upcoming events or educational opportunities for fellow real estate agents? Share the details in the comments below or in our Real Estate Events forum! Look for the next article in this series examining how an agent’s civic engagement may further enhance their real estate business. To read part one of this series, see: A California real estate agent’s power base. PreviousClient Q&A: What is arbitration? NextClient Q&A: What are discount points? 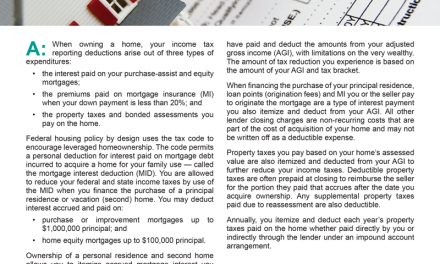 Client Q&A: What are my tax deductions when I become a homeowner? 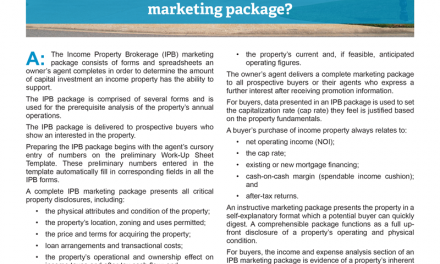 Client Q&A: What is an Income Property Brokerage (IPB) marketing package?